Desert beachs, light rains and fresh air are visible signs that something is ending, and the name this thing is summer. It is not so sad how you can imagine, the end of summer is the end of a period of extreme relax in which your mind sleeps and searchs other ways of your life. So, say hello to the new era with a nice garage rock made by Let’s Kill Janice with the song Interference. It is a rythm made of nostalgic waves, desire to run more fast than the wind and do not fall down as yellow leaves. It is another way to say goodbye to everything is done and to be enthusiastic of everything is not already done. This entry was posted in angelica s., Ascolta in Streaming, canzoni. Bookmark the permalink. What is this? 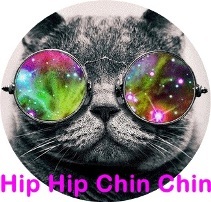 Hip hip chin chin is a weekly playlist for 24 hrs party people. It’s not about music today, yesterday or tomorrow. It could be a chance to get rid of a hangover or an opportunity to extend your Sunday night party. 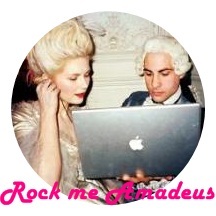 Rock Me Amadeus is a music column by JCGE for 'I Think Magazine' [a web lifestyle magazine]. The column will introduce periodically 10 indie bands from the worldwide music scene with links for videos and free downloads. 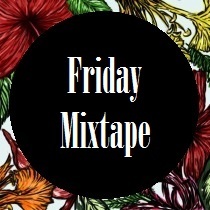 Just Can’t Get Enough // music blog is a window on music outside of mainstream marketplace. It has been established by Angelica Scardigno on July 5th 2010. Our main purpose is to offer always new, various and interesting music: we’d like to anticipate new music trends and innovate the current ones.